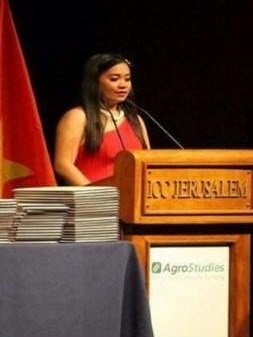 Nine hundred student-trainees from agriculture schools in Asia and Africa graduated this month from Israel’s Agrostudies Program, with the Philippines emerging as the largest batch. The group of 524 studentsfrom different academic institutions in the country comprises the 11th batch of Filipinos sent to Israel for this type of training. The ceremony last September 1 was graced by Philippine Ambassador to Israel, Neal Imperial, CHED Commissioner RupertoSangalang, and the presidents of the Tarlac Agricultural University, Misamis Oriental State College of Agriculture and Technology, Bataan Peninsula State University and Sultan Kudarat State University. Michelle Rafael, a fourth-year college student from Tarlac Agricultural University, who is taking up Bachelor of Science in Agriculture, was given the Excellence for Extracurricular Activities award. Rafael underwent training in dairy production at the Meshek Hirsh Company in southern Israel. In her speech, she said the Agrostudies Program provided the graduates an opportunity to gain knowledge and skillswhich they wouldn’t have otherwise acquired in their home countries; experiences that helped them grow. “As we prepare to move on to the next stage in our lives, I encourage you to reflect upon our experiences here in Israel, and consider how we can best utilize this valuable training in the future…We are now in the perfect position to give back and serve as leaders in our local communities. To accomplish these forward-looking goals, we need to do our job as agriculturists in our country,”she addressed her fellow graduates. Every year, over 500 students are exposed to the latest agriculture-based technology and techniques being used in farms in Israel. Trainees undergo an 11-month course of combined academic learning and hands-on work in the most enabling and stimulating learning environments. This allows the student-trainees to benefit from the most advanced agricultural working methods. 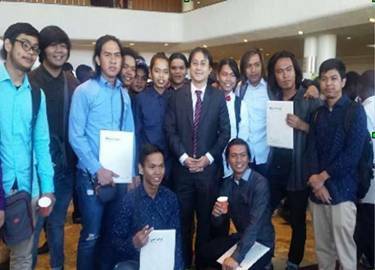 According to the Philippine Embassy in Israel, the Filipino participants of the program have the chance to study at specialized agricultural academic centers and work in modern farms across Israel. They get to learn practical lessons and apply state-of-the-art technology in various fields, such as citrus farming, mushroom cultivation, horticulture, dairy production, poultry growing and agricultural pollination. Since 2005, a total of 2,779 Filipino student-trainees have been sent to Israel to participate in the Agrostudies Program. The Embassy considers the program an important pillar of the Philippines-Israel development cooperation in the agricultural sector.